President Trump and his supporters made headway in accusing the Federal government of violating or endangering attorney-client privilege. The attorney-client privilege is recognized by our Supreme Court as one of the oldest recognized privileges for confidential communications. See Hunt v. Blackburn, 128 U. S. 464 (1888). The privilege is intended to encourage "full and frank communication between attorneys and their clients and thereby promote broader public interests in the observance of law and the administration of justice,” the Supreme Court explained in 1982. And, in 1998, the Supreme Court confirmed that attorney-client confidentiality is so important to our society, that it survives a client’s death. So to say that it is an important legal principle would be an understatement. So we would expect our judges to handle it with white gloves, right? Apparently not. But Cohen’s client in fact was entitled to confidentiality in his dealings with counsel. And this cloak of confidentiality extended to the existence of the client’s relationship with his lawyer when the client broke no law, was never summoned to court, and choose to keep contact with counsel confidential. That means that the client was entitled to keep his name confidential. Under the ethics rules guiding lawyers, it is generally the rule that a lawyer may not voluntarily reveal the identity of a client where the relationship is not generally known. See, e.g., Paul R. Tremblay, Migrating Lawyers and the Ethics of Conflict Checking, 19 Geo. J. Legal Ethics 489 (2006). Judge Wood appeared to understand and respect the attorney-client privilege and the attorney’s confidentiality obligations, but also found that the government will need to know the name of the client, and decided to balance the equities by having a hearing in private — considerate of interests of both parties. 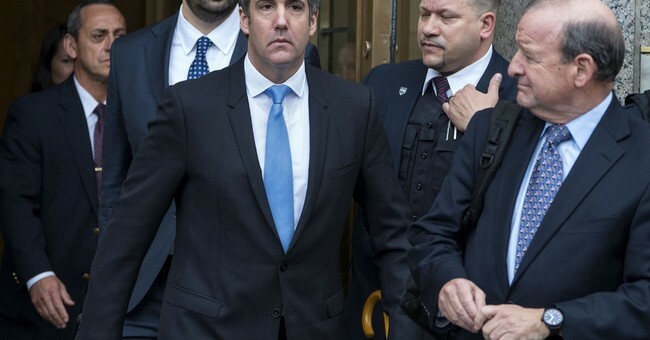 Judge Wood then magically forgot the magnitude of the attorney-client privilege and the attorney’s duty of confidentiality to his client, and decided that media rights outweighed the rights of the client and his confidentiality, and ordered Cohen to reveal the name of his client in open court. Judge Wood essentially decided that there is a “newsworthy” exception to confidentiality. Tweeted CNN crime and justice reporter Shimon Prokupecz: "I was in court yesterday and if it wasn't for the attorney representing the press, Sean Hannity's name would have been filed under seal. Judge Kimba Wood was ready to accept the name under seal, when the attorney representing the press stood up and argued successfully against it." But breaching attorney-client confidentiality is not a public right. And the public is not entitled to seek its breach. There is no such thing as “newsworthy” exception to confidentiality. So why did this happen? It unfortunately appears that Sean Hannity became the latest collateral damage in a government-ordered public mockery of attorney-client confidentiality.